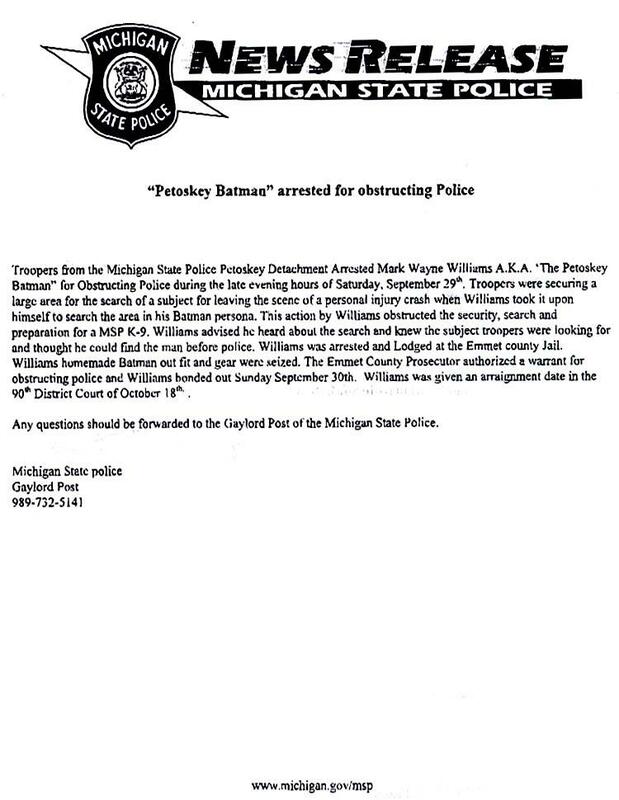 OCTOBER 3--A Michigan man who patrols the streets in a Batman costume is facing a felony charge after he allegedly interfered with a police investigation. 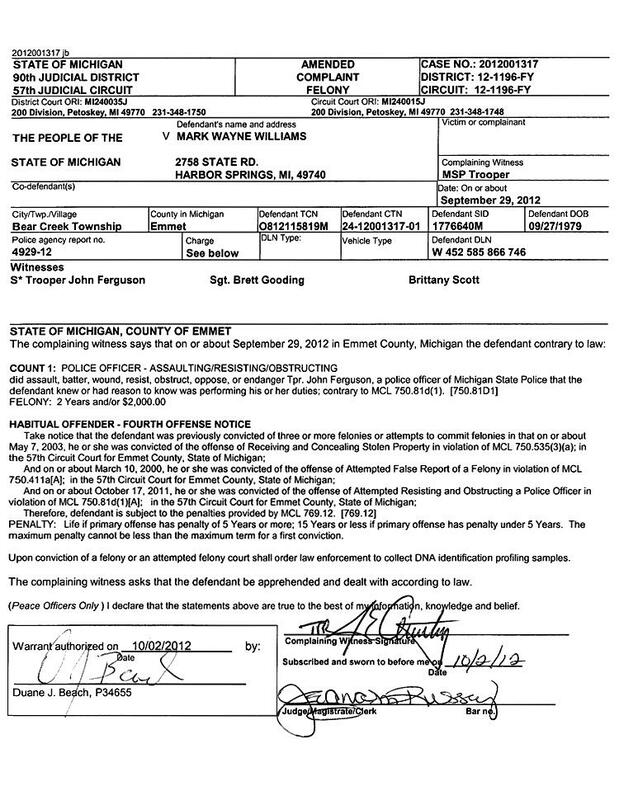 Mark Wayne Williams, 33, was busted after showing up at the site of an auto accident Saturday evening in Bear Creek Township in northern Michigan. Williams, dressed as Batman, was at the crash scene thanks to his monitoring of a police scanner, according to a court affidavit. Investigators were probing the personal injury accident since the driver responsible for the crash had fled the scene. In a bid to track the motorist, troopers enlisted the help of a K-9 dog. 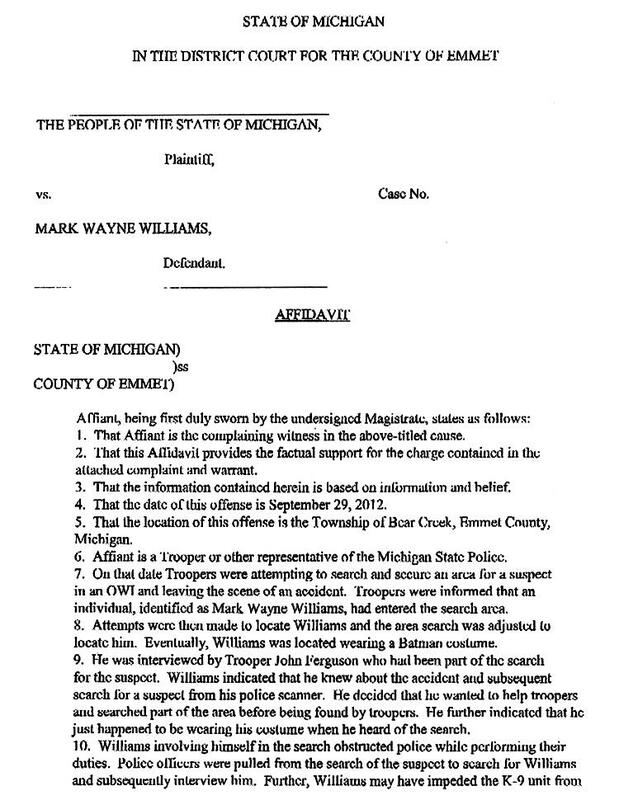 As troopers “were securing a large area for the search of the subject,” Williams “took it upon himself to search the area in his Batman persona,” according to a Michigan State Police statement. Concerned that Williams’s actions could compromise the dog’s ability to track the driver’s scent, troopers directed him to depart the area. But the wannabe superhero refused to comply. Troopers responded by arresting Williams for resisting and obstructing a police investigation, a felony carrying a maximum two-year prison term. 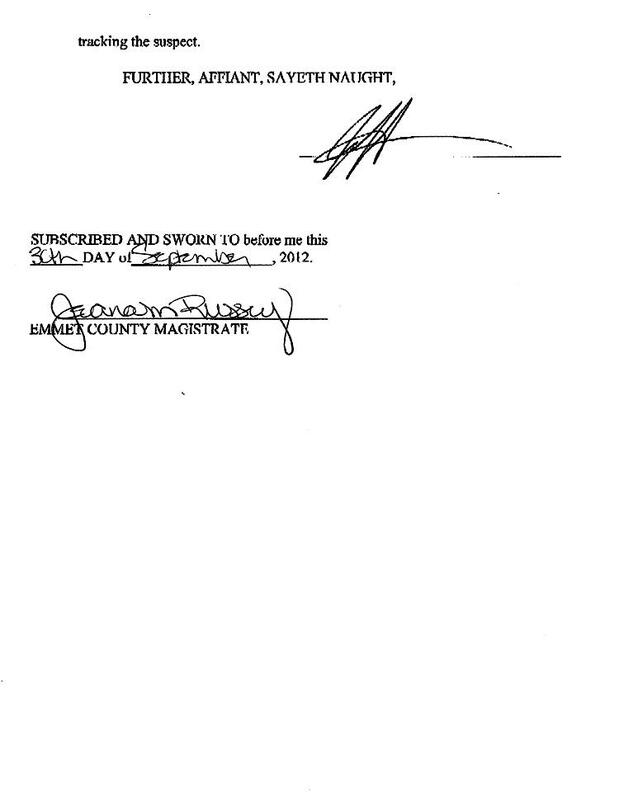 Investigators seized Williams’s homemade Batman outfit and gear, and booked him into the Emmet County jail (from which he bonded out Sunday). 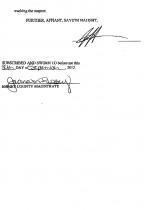 Williams is scheduled for an October 18 court appearance. Williams, who lives in the city of Petoskey (pop. 5,670), was arrested last year after he was spotted, in costume, on the roof a local business. 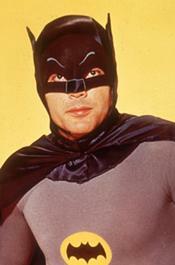 He was found carrying a collapsible baton and pepper spray in his utility belt. As seen in the adjacent evidence photo (click to enlarge), cops photographed Williams, wings spread, in his Batman costume following his collar. 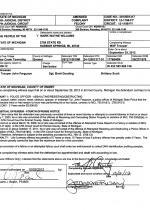 Williams--who has been dubbed “The Petoskey Batman”--subsequently pleaded guilty to a misdemeanor count and was sentenced to six months probation. He was also ordered not to wear costumes during that term, which ended earlier this year.